We English like to think of ourselves as gentlemen and ladies; a nation that knows how to queue, eat properly and converse politely. And yet in 1642 we went to war with ourselves. Pitting brother against brother and father against son, the English civil war is a blot on our history. Indeed, there was barely an English ‘gentleman’ who was not touched by the war. Yet how did it start? Was it simply a power struggle between king and Parliament? Were the festering wounds left by the Tudor religious roller coaster to blame? Or was it all about the money? Divine right – the God given right of an anointed monarch to rule unhindered – was established firmly in the reign of James I (1603-25). He asserted his political legitimacy by decreeing that a monarch is subject to no earthly authority; not the will of his people, the aristocracy or any other estate of the realm, including Parliament. Under this definition any attempt to depose, dethrone or restrict the powers of the monarch goes against the will of God. The concept of a God given right to rule was not born in this period however; writings as far back as AD 600 infer that the English in their varied Anglo-Saxon states accepted those in power had God’s blessing. This blessing should create an infallible leader – and there is the rub. Surely if you have been given power to rule by God, you should demonstrate an ability to wield this responsibility with a degree of success? By 1642 Charles I found himself nearly bankrupt, surrounded by blatant corruption and nepotism and desperate to hold onto the thin veil that masked his religious uncertainty. He was by no means an infallible leader, a fact that was glaringly obvious to both Parliament and the people of England. Parliament had no tangible power at this point in English history. They were a collection of aristocrats who met at the King’s pleasure to offer advice and to help him collect taxes. This alone gave them some influence, as the king needed their seal of approval to legitimately set taxes in motion. In times of financial difficulty that meant the King had to listen to Parliament. Stretched thinly through the lavish lifestyles and expensive wars of the Tudor and Stuart period, the Crown was struggling. Coupled with his desire to extend his high Anglican (read here thinly disguised Catholic) policies and practices to Scotland, Charles I needed the financial support of Parliament. When this support was withheld, Charles saw it as an infringement on his Divine Right and as such, he dismissed Parliament in March 1629. The following eleven years, during which Charles ruled England without a Parliament, are referred to as the ‘personal rule’. Ruling without Parliament was not unprecedented but without access to Parliament’s financial pulling power, Charles’s ability to acquire funds was limited. Charles’s personal rule reads like a ‘how to annoy your countrymen for dummies’. His introduction of a permanent Ship Tax was the most offensive policy to many. Ship Tax was an established tax that was paid by counties with a sea border in times of war. It was to be used to strengthen the Navy and so these counties would be protected by the money they paid in tax; in theory, it was a fair tax against which they could not argue. Charles’s decision to extend a year-round Ship Tax to all counties in England provided around £150,000 to £200,000 annually between 1634 and 1638.. The resultant backlash and popular opposition however proved that there was growing support for a check on the power of the King. This support did not just come from the general tax paying population but also from the Puritanical forces within Protestant England. After Mary I, all subsequent English monarchs have been overtly Protestant. This stabilization of the religious roller coaster calmed the fears of many in Tudor times who believed if a civil war was to be fought in England it would be fought along religious lines. While outwardly a Protestant, Charles I was married to a staunch Catholic, Henrietta Maria of France. She heard Roman Catholic mass every day in her own private chapel and frequently took her children, the heirs to the English throne, to mass. Furthermore, Charles’ support for his friend Archbishop William Laud’s reforms to the English Church were seen by many as a move backwards to the popery of Catholicism. The re-introduction of stained glass windows and finery within churches was the last straw for many Puritans and Calvinists. To prosecute those who opposed his reforms, Laud used the two most powerful courts in the land, the Court of High Commission and the Court of Star Chamber. The courts became feared for their censorship of opposing religious views and were unpopular among the propertied classes for inflicting degrading punishments on gentlemen. For example, in 1637 William Prynne, Henry Burton and John Bastwick were pilloried, whipped, mutilated by cropping and imprisoned indefinitely for publishing anti-episcopal pamphlets. Charles’s continued support for these types of policies continued to pile on support for those that were looking to put a limit on his power. By October 1640, Charles’ unpopular religious policies and attempts to extend his power north had resulted in a war with the Scots. This was a disaster for Charles who had neither the money nor the men to fight a war. He rode north to lead the battle himself, suffering a crushing defeat that left Newcastle upon Tyne and Durham occupied by Scottish forces. Public demands for a Parliament were growing and Charles realised that whatever his next step was to be, it would require a financial backbone. After the conclusion of the humiliating Treaty of Ripon that let the Scots remain in Newcastle and Durham whilst being paid £850 a day for the privilege, Charles summoned Parliament. Being called upon to help King and country instilled a sense of purpose and power into this new Parliament. They now presented an alternative power in the country to the King. The two sides in the English Civil war had been established. The slide to war becomes more pronounced from this stage onwards. That is not to say it was inevitable, or that the subsequent removal and execution of Charles I was even a notion in the heads of those who opposed him. However, the balance of power had begun to shift. Parliament wasted no time arresting and putting on trial the Kings closest advisers, including Archbishop Laud and Lord Strafford. In May 1641 Charles conceded an unprecedented act, which forbade the dissolution of the English Parliament without Parliament’s consent. Thus emboldened, Parliament now abolished Ship Tax and the courts of The Star Chamber and The High Commission. Over the next year Parliament began to introduce increased emboldened demands, and by June 1642 these were too much for Charles to bear. His bullish response in barging into the House of Commons and attempting to arrest five MPs lost him the last remnants of support among undecided MPs. The sides were crystallized and the battle lines were drawn. Charles I raised his standard on 22nd August 1642 in Nottingham: the Civil War had begun. So the origins of the English Civil War are complex and intertwined. England had managed to escape the Reformation relatively unscathed, avoiding much of the heavy fighting that raged in Europe as Catholic and Protestant forces battled in The Thirty Year War. However, the scars of the Reformation were still present beneath the surface and Charles did little to avert public fears about his intentions for the religious future of England. 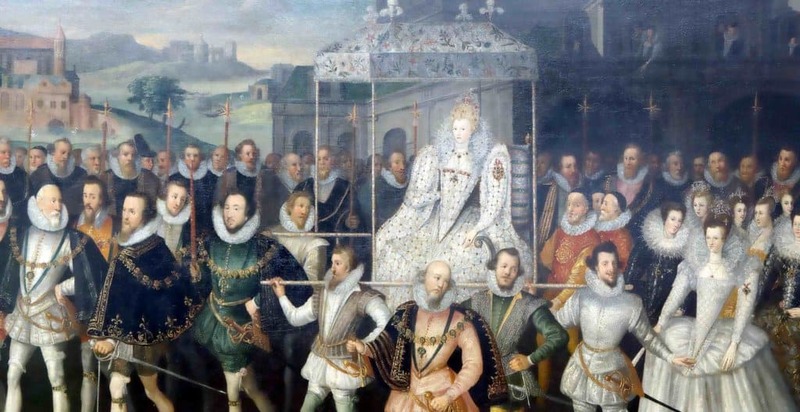 Money had also been an issue from the outset, especially as the royal coffers had been emptied during the reigns of Elizabeth I and James I. These issues were exacerbated by Charles’s mismanagement of the public coffers and through introducing new and ‘unfair’ taxes he simply added to the already growing anti-Crown sentiment up and down the country. These two points demonstrate the fact that Charles believed in his Divine Right, a right to rule unchallenged. Through the study of money, religion and power at this time it is clear that one factor is woven through them all and must be noted as a major cause of the English Civil War; that is the attitude and ineptitude of Charles I himself, perhaps the antithesis of an infallible monarch.